A large lead pot repair. 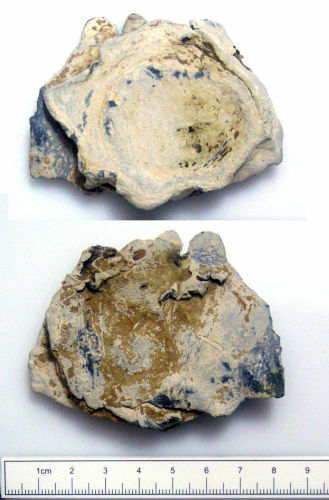 The object is formed from a solid disc of lead which has been shaped around the hole in a ceramic pot. Remains of ceramic material can be seen on the edges of the mend. Is it possible that this mend was used to repair a Roman vessel, in the medieval period. As they were most commonly used in the medieval period.